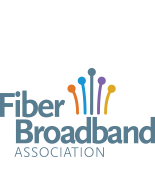 Horizon, an Ohio-based regional fiber broadband company, has acquired a fiber network in the heart of downtown Indianapolis, Indiana, continuing Horizon’s strategic vision of becoming the leading Midwest fiber optic broadband provider. Render's Digital Network Construction Guide explores how digital practices and technology is enabling network owners and builders to realize time & cost efficiencies of 50%+ vs traditional construction methods. The City of Sumter, SC selected Magellan Advisors as the Project Manager to oversee design, engineering, procurement and permitting, and provide construction management resources to expand the City’s fiber-optic network in the downtown Sumter geographic area. Carol Brunner Released Blog Article Magellan lights up Downtown Sumter with Gigabit fiber!